Click on Community, then click on My Teams. Type a name and description for your team. To add members, type names in the search bar and select the teachers. When you're done, click on Create. An email will be sent to each person you have added to your team. An email icon next to the person's name denotes that the email has been sent. When this icon disappears, it means that they have accepted the invitation. Potential Team members must accept the invitation in order to be added to the team. 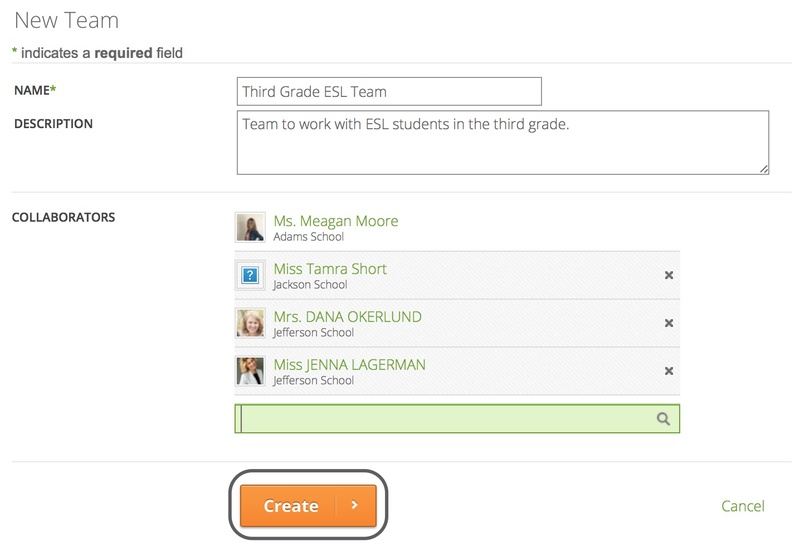 After your team is formed, you can share report data for common assessments and compare reports in your trackers.